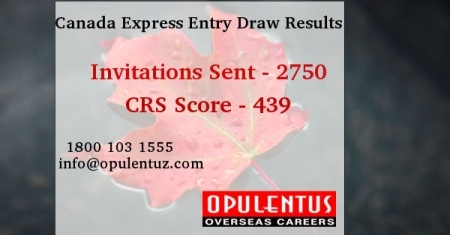 The 28th Express Entry Draw for 2017 was conducted by IRCC on 15th November, and it was held only after one week had passed when the previous draw was held. This has broken the norm when draws were held at fortnightly intervals. Another feature was that when two or more candidates score the same the timing and the date of submission of the profile in the Federal Express Entry System will act as the tiebreaker. The candidates who receive the ITA in the present draw have been given a time of 90 days to submit their Completed applications by the IRCC. It was surprising as only one week had elapsed from the previous draw. The results were pleasant for the applicants. The considerable reduction in the CRS will also work in favour of the applicants. As a result, more among them will pass the eligibility norms. Compared to the previous draw where 2000 Invitations were issued the present tally is 2750. It is a big positive for all the applicants. With all these features the present time is the best time to submit an application for PR. In case of guidance and procedures please contact us and we will be happy to lend a helping hand to all the aspirants in realizing their dreams.